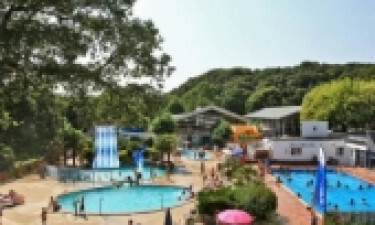 Le Ty-Nadan is a luxury camping site found within the natural settings of the Roches du Diable Valley. It offers its guests modern conveniences and many on-site amenities. To learn more about this unforgettable camping holiday, make sure you reach out to LUX-camp. 325 pitches and a choice of mobile homes. A beach and a river located within the resort itself. 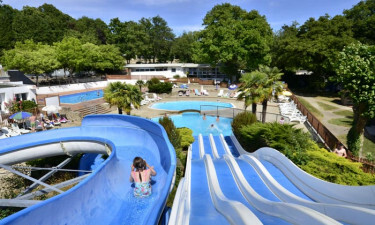 One of the reasons why so many families prefer this type of camping luxury is that Le Ty-Nadan boasts some of the most modern facilities within any site. Baby changing rooms are an added benefit for those who are bringing along infants or toddlers. Dedicated power supplies are found on each pitch and those who choose to rent mobile homes will be pleased to know that waste disposal facilities are mere moments away. Why travel outside of the confines of this luxury camping resort to enjoy a host of unique activities? Families can participate in an exciting game of table tennis or volleyball while remaining close to their pitch, and children will create unforgettable memories thanks to an on-site petting zoo. Bicycle hire, fishing, horseback riding and a large outdoor pool are some other examples of what can be encountered at this luxury camping site. On a final note, travelling only a few kilometres away will provide further excitement with highlights such as sailing, surfing and a full-sized golf course. As mentioned previously, dogs are permitted during both peak and off-peak seasons. Besides mobile homes, it is also possible to rent apartments and single rooms. Tents are even a consideration for those who wish to experience nature from an up-close-and-personal point of view. Enjoying the unique culinary tastes of Brittany is now possible thanks to a restaurant located within this holiday camping site. While pizza is always an option, it is a good idea to taste some of the more unique regional dishes that are served up on a daily basis. Two bars are found within this site. One provides indoor entertainment while the other is located next to the pool; ideal when one wishes to keep an eye on the children. 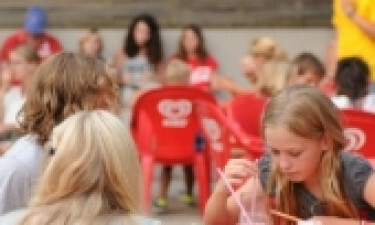 Le Ty-Nadan provides a fully equipped grocery store that is able to provide all of the necessities that a family could imagine during their camping holiday. Fresh fruits and vegetables, meats, fish, baked bread, pastries and soft drinks are but a few of the items to be found here. Maps of the local area, international newspapers, tobacco products and a selection of Brittany wines are additional products worth mentioning. To learn more in regards to what this luxury camping site has in store, please feel free to contact LUX-camp.